Enjoy this list of the best attractions the great state of New York has to offer! Whether it's top theme parks, landmarks or natural features, you'll find this list captures the best of New York. Rockefeller Center, A Great New York Attraction! The best place to be here in New York, Rockefeller Center is place where you get to enjoy the amazing entertainment and spectacular scenery. Rockefeller Center is a place where thousands of visitors come every year and appreciate New York for its beauty. Also visitors can enjoy some exciting tours of the NBC studio or visit the observation deck of Top of The Rock. 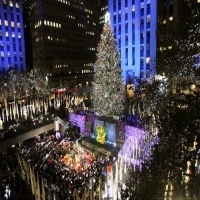 Come to Rockefeller Center and experience for yourself the fun entertainment that the place can offer to you, it is definitely a wonderful experience in here. 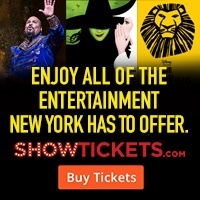 ShowTickets.com Helps You Make the Most of NYC! The website, which is owned and operated by Entertainment Benefits Group, a heavyweight in the ticketing and tours industry, is designed to be a city portal and one-stop-shop to the best that New York City has to offer. As rewarding as it is to search, sometimes it’s nice when someone else just tells you where to go. And nothing beats a recommendation from a trustworthy source, which is why ShowTickets.com has hired notable experts to track the best deals for Broadway Show Tickets. Check back daily for their best recommendations and pricing. See their full page listing for more information! Our 17 mile wilderness rafting trip through the Hudson River Gorge was rated by Outside Magazine as one of the "Top 10" Springtime rafting trips in the country! In the summer, the Hudson provides an exciting experience for the whole family. You can combine your raft trip with canoeing, hiking, biking, or just relaxing at a nearby lodge or hotel. Best go kart racing in Upstate NY! RPM Raceway is America’s ultimate all-electric indoor karting and entertainment destination. RPM Raceway provides an authentic, exhilarating and safe racing experience, featuring state-of-the-art Italian karts designed to imitate formula race cars. RPM Raceway offers arrive and drive racing 7 days a week for both junior and adult racers. Junior racers must be 4’ tall, adult racers must be 5’ tall. In addition to arrive and drive racing, RPM Raceway offers a variety of racing packages from group events and birthday parties to corporate/team building events. RPM Raceway also holds seasonal racing leagues as well as junior and youth summer camps! Visit rpmraceway.com for more information. 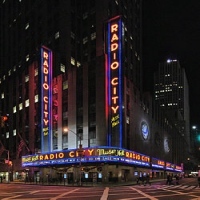 Enjoy The Entertainment Of Radio City Music Hall! Come to Radio City Music Hall and see the beautiful show and spectacular entertainments that it has to offer to you. One of the best attractions here in New York, Radio City Music Hall is home to great entertainment here in New York, where the shows are absolutely unique and truly a wonderful experience. Radio City Music Hall is definitely a place to be here in The Big Apple. You will enjoy great concerts and amazing plays here at the venue. 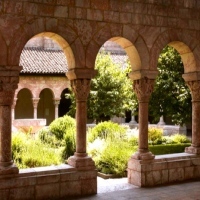 Learn Great Things Here At The Cloisters Museum & Gardens! Come to The Cloisters Museum & Gardens and see the beautiful art collections and their beautiful gardens filled with unique and beautiful plants. Among the best attractions here in New York, The Cloisters Museum & Gardens is a museum devoted to European architecture and arts. It is a place for learning the heritage and culture of Europe and where you can appreciate the art of human creativity. Visit The Cloisters Museum & Gardens today and see for yourself the beauty and the spectacular design that the place has to offer. A Place For Great Entertainment Here In New York! 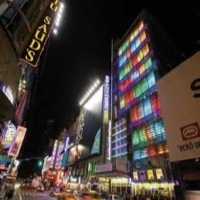 Among the best attractions here in New York, The New 42nd Street Inc offers an amazing entertainment where music and the arts are the ways of providing great entertainment for the audience. It is a place that offers a spectacular theatrical show and concerts for the enjoyment of everyone and for them to appreciate the music and the arts. Visit The New 42nd Street Inc today and enjoy the great show and wonderful performance that offers fun and entertainment for everyone. Have A Great Time At The Museum of Modern Art! 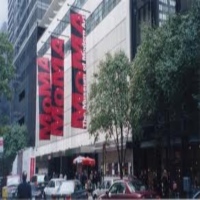 A great place to be here in New York, The Museum of Modern Art is a fun place for friends or family to come and have a great day. Among the best attractions here in the city, The Museum of Modern Art has a wide collection devoted to the modern arts, which includes paintings, architecture, books, drawings, sculptures and many more. It is definitely a place for learning and inspiration, where creativity and innovation is fostered. Come to The Museum of Modern Art and experience for yourself the great experience of learning and being creative. See the many brilliant works and be inspired yourself. Enjoy A Day Here At The Frick Collection! Come to The Frick Collection and have a great learning experience in which you will see a wide collection of historical works of art and amazing designs. It is a great place for a family outing here in New York where you can enjoy and appreciate their exhibits. Among the best attractions here in the city, The Frick Collection has in its museum wide collections of European sculptures and decorative arts that are unique and an absolute masterpiece. Visit The Frick Collection today and experience for yourself the beauty and elegance of the place, you will surely enjoy and have a wonderful experience here at this place. See The Spectacular Statue Of Liberty In New York! One of the most visited places and among the best attractions here in New York, the Statue of Liberty National Monument is a place where you will be inspired by the beauty of the iconic symbol of freedom and democracy. It is a place that is a must see tourist attraction here in New York and a great place to see the amazing scenery of the city. 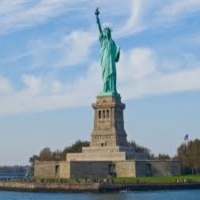 Come to the Statue of Liberty National Monument and experience for yourself the wonders and the beauty of Lady Liberty. 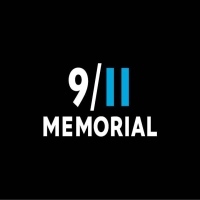 Pay Tribute To The Lives Lost On 9/11! Come to 9/11 Memorial and pay tribute to the lives that where lost in the horrific attack of 9/11. Among the most visited places here in New York and one of the best attractions, the 9/11 Memorial is a place of reflection and remembrance. It is where you appreciate the solemnity of the place and be inspired by the brave men and women of New York. A great place to see here in New York, 9/11 Memorial is definitely all inspiring and captivating. Visit 9/11 Memorial today and make it a wonderful and solemn experience. 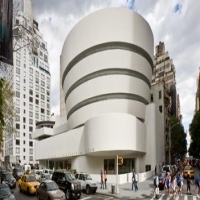 Make Your Guggenheim Museum Visit A Great Experience! Come to Guggenheim Museum and see their amazing art exhibits and wonderful sculptures. Founded by Solomon R. Guggenheim, The Guggenheim Museum is a place that houses several famous paintings of Picasso, Chagall, Kandinsky, and many other modern artists. One of the best attractions here in New York, Guggenheim Museum inspires its visitors with their amazing world class masterpieces and unique architecture. Come to Guggenheim Museum and experience for yourself the great masterpieces among the brilliant minds of the human civilization. It Is Always A Party Here At Times Square New York! Experience a city that never sleeps here at Times Square. It is a place of fun and excitement, where you can enjoy great food, good music and a spectacular show. One of the very best attractions here in New York, Times Square is really a wonderful place to see and experience the life here in New York! Come to Times Square and see for yourself the fun and excitement that is for everyone to enjoy. Enjoy the great entertainment that Times Square has to offer. The best way to see New York City! A Truly Lovely and Memorable Experience you Shouldn’t miss in Upstate New York! The Adirondack Mountains have more than 2,000 miles of hiking trails, 3,000 lakes and ponds, and endless rivers and streams. 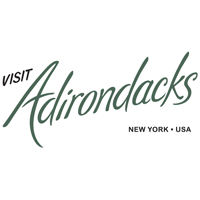 It is easy in the Adirondack Park to simply get into a new adventure and relax with the region's stunning natural wonders. 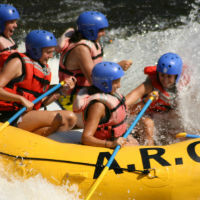 It is one of the most visited places in Upstate New York during summer as it's a wonderful location to escape the heat.